We're sorry there was an error processing your baby pool request. Please contact the baby pool administrator and have them send you another link to the baby pool or contact the BabyPool.com Support Team. 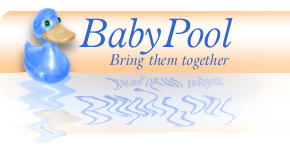 All Content Copyright � 1998-2005, BabyPool.com, All Rights Reserved.